Alexandre Desplat’s music for film in general strikes me with the quality of being not offensive on the ears, but neither is it highly memorable. I keep waiting for him to surprise me with something, though, because I think all composers have something to offer, even if that something eludes (or continues to elude) the devoted or casual listener. 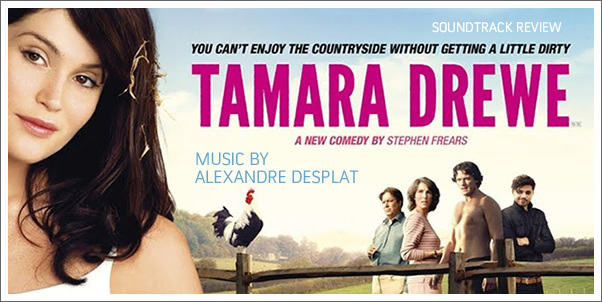 TAMARA DREWE is the latest film which features Desplat’s scoring. I have listened to it several times, now, and find it memorable. However--that may not be a good thing herein.